the stunning highlights of iceland's natural beauty. Our Basic tours are specially designed for Rotarians who have limited time to attend the Rotary Convention, but who want to explore at least one other place while they are traveling to the convention. 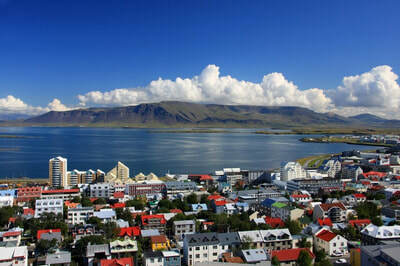 We have chosen Iceland because it is an easy stop enroute to Hamburg and Iceland is a very trendy destination and has made many, many lists of top places to travel. Thu., June 06 - Hamburg / Reykjavik: Arrive Reykjavik. Hotel Exeter Reykjavik accommodations, including daily breakfasts. Fri., June 07 - Reykjavik: Morning city sightseeing in Reykjavik. Weaving our ways through narrow alleys framed with old timber houses, we learn about the life in the Icelandic capital. We pass Hallgrimskirkja-Church and enjoy a photo stop at Höfði house, where the Reagan/Gorbachev summit took place. We continue to the University district, the Nordic house and National Museum. From the City Hall we take a walk through the city center. We pass the sculpture of Skúli Magnússon, the founder of Reykjavík and Jón Sigurðsson, independence hero. 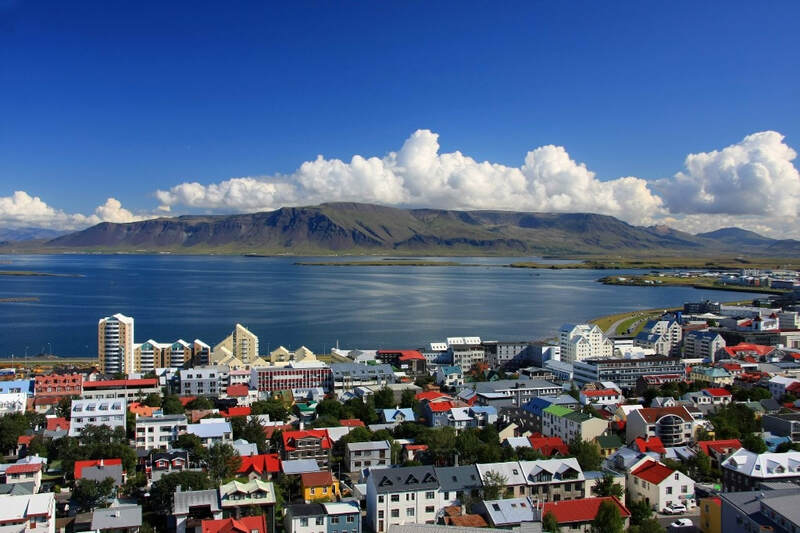 Now drive to the harbour where we find a large fleet of whale watching and fishing boats and end with a panoramic view over Reykjavik, the fjord and mountains. Afternoon free to explore the city on your own. 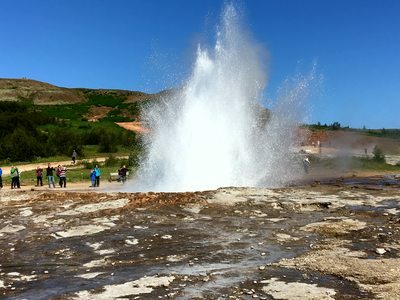 Sat., June 08 - Reykjavik/Golden Circle: Over a scenic route we reach Þingvellir (Thingvellir) National Park, a UNESCO World Heritage Site. We stroll around the country’s most sacred site, home of the oldest existing parliament in the world. Thingvellir is a place of fascinating natural beauty, one of the most geologically spectacular, set on a vast plain flanked by large fissures. The Great Atlantic rift is clearly visible; a rift that is slowly pulling Iceland apart along tectonic plates and you can literally walk between the American and Eurasian continental plates. 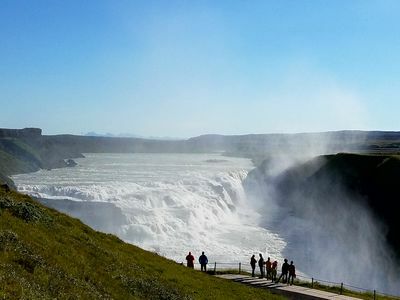 We continue to the mighty Gullfoss (the Golden Waterfall), where the river Hvitá tumbles 105 ft in a double cascade. Lunch is included as a tour service. After lunch explore the geothermal active valley of Haukadalur which contains the geysers Geysir and Strokkur. Then we drive on to Skálholt, the site of an ancient bishopric, and for centuries Iceland’s main cultural centre. Passing the geothermal power station Hellisheiðarvirkjun we learn how Icelanders use the energy from the earth, so called green energy, for heating their homes. Evening return to Reykjavik. Sun., June 09 - Reykjavik/Optional Visit the Blue Lagoon/Depart for Home: Free morning to explore Reykjavik or take an optional tour to the Blue Lagoon (below). Lunch provided as a tour service. Evening flights back to the US. ​$130 per person, includes transfer and entrance fee. ​Following breakfast enjoy a trip to the Blue Lagoon before you transfer to the airport for your flight home. The Blue Lagoon is a natural geothermal pool in the middle of a large and dramatic lava field and an oasis that owes its existence to a nearby geothermal power plant, looming large over the aqua tinted waters. Enjoy a 1 ½ hour refreshing bathe or swim in the inviting, rejuvenating and pleasantly warm mineral-rich water (100-110°F), reputed for its healing properties. The Blue Lagoon’s warm water and natural active ingredients like mineral salts, silica and blue green algae help you relax and escape the stress and strain of daily life. Don't forget your bathing suit.